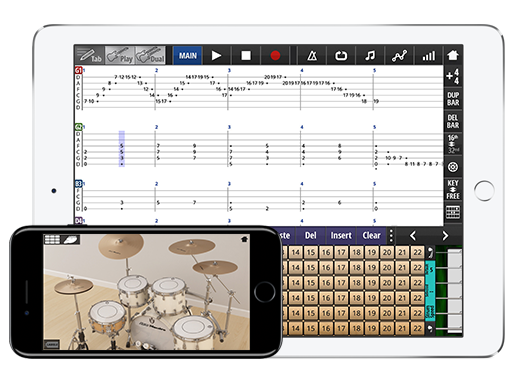 Jam Maestro is a complete guitar-tab composition suite, providing you all the tools necessary to craft, save and share your new ideas. 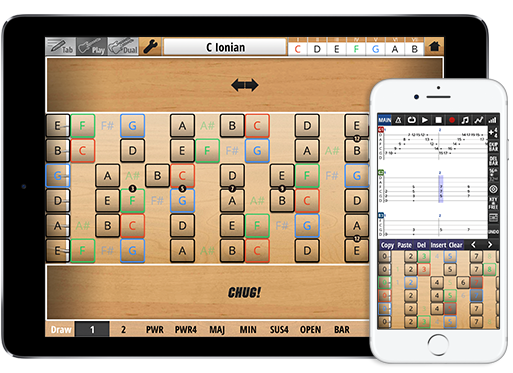 Compose, sequence and playback songs in guitar tab format, meaning any compositions can be easily translated to and played in real life. Over 4000 samples record for most realistic sound. Full fretboard (22 frets) with wide tuning options and palm muting available for those who want a heavy sound. Load up to 16x Guitar / Bass / Drums simultaneously. Use Midi and Inter-App Audio ‘instruments’ to invoke and sequence background apps/hardware. Ableton Link. Inter-App Audio (Host and Node). Audiobus. Audiocopy. Midi In/Out.  Open native .jam files. Import from midi (mid) and Guitar Pro 3-5 (gp3, gp4, gp5) files. Save in native .jam files. Export as midi file. Render sound into wav/m4a files. Save guitar tab as pdf/txt file. Built from the ground up to compose songs and construct harmonies with ease. Jam: loop individual instruments and play along with others in real time. Revisit your live Jam Session in the guitar tab sequencer, revise and develop ideas, copying and pasting what you need into your final composition. Simple music-theory inspired interface shows notes available in related keys, program in key changes so your jams are always harmonious. Colour coded notation indicate scale intervals, highlighting note relationships at a glance. Musicians all over the world use Jam Maestro to assist them in their song creation process, share ideas with band mates, and write down inspiration on the go whenever it catches them. 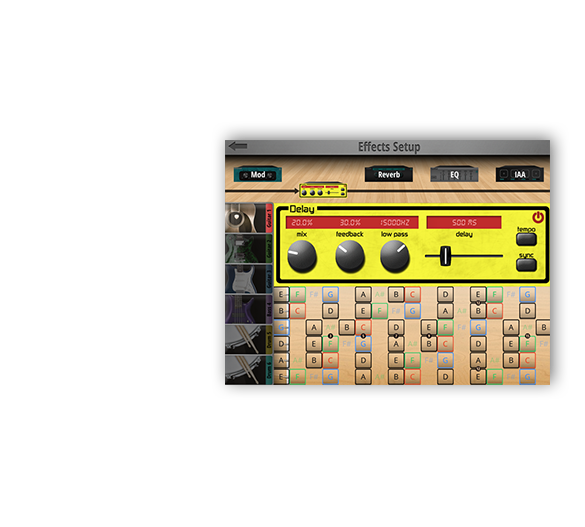 Jam Maestro is designed to empower you in song creation and encourage your creativity. Never forget a song idea again! This app gives me the power to pro-produce music even places that I can’t physically play guitar. I’ve used this as my main song-writing tool for years now. Well worth the price! With Jam Maestro, I can use tablature to create some very authentic sounding solos. It has allowed me to get the sounds I hear in my head into my songs, even though my fingers can't play them. That's worth the price alone for me. This is my go to for writing down and figuring out songs for my band to play. Jam Maestro has everything I need. I can write for guitars, bass, and drums, all the sounds sound realistic, and I can even export and email my songs to my band mates directly from the app. As a guitarist, I love this app. It is so good for getting song ideas down quickly. I can then export the midi to Cubasis or my laptop and work it into a full song. 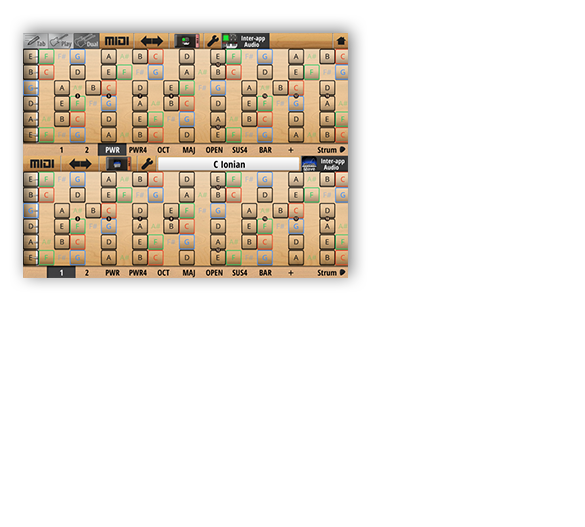 It is also a wonderful midi controller for playing guitar chords or entering melodies into Cubase on my laptop. I'm not exclusively using this app for the guitars but I've found so many sounds that this app will accomplish that are not in other guitar apps. The chug feature is awesome and I really am working on creating guitar tracks that sound like a real guitarist playing my music. Was looking for something simple. Just want to tap out a melody and have it save tab. Got so much more: Learning to shift keys, making melodic lines and transforming them into the guitar. I can let my ear play instead of my hands, helping me break out of routine and learn about modes all at once! Works with so many other apps it is crazy good. I use a lot of music apps and it is difficult to impress me, but I am in awe. Already wrote my first tune and started another. If you jam.... You need to get this app. Would be worth twice the price. This app has totally opened up Pandora's box for me. Jazz theory has eluded me until now. I can now sequence all instruments to perfect my notations! I'm a mere 10 minutes into this app and can already tell it is going to replace all the others I have used in the past. There are so many options, but isn't paralyzing. It's worth twice the price in my opinion. I've tried a dozen or so apps to write tabs on my iPhone. This is by far the most refined one out there. This app really quenches my thirst for songwriting when I'm away from my guitar or studio. I can write the drums, bass and guitar parts wherever I am, to practice them later. Or create jam tracks I can play along to. Absolutely amazing. This app is the single best music app I have used, period. I am a songwriter who plays guitar, and was looking for decent drum to accompany me while practicing my songs. 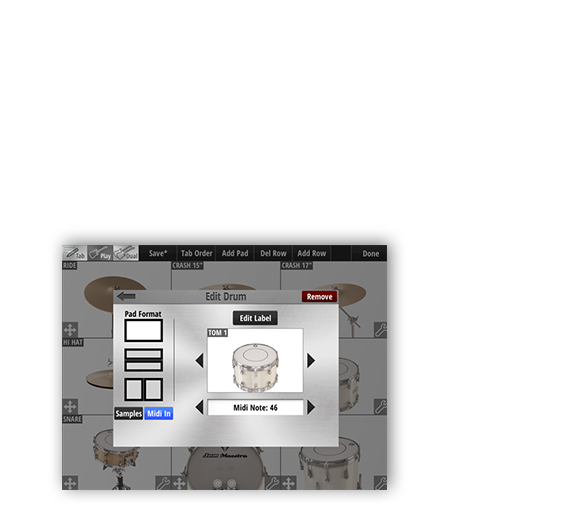 Funny I should find the best and most versatile drum programming ability in an app that covers other rock/pop instruments. This app is everything I could want! The ability to create my own music and save it as a tab so others can learn it is extraordinary! This has helped me and my band very much by allowing us to practice our parts separately. © Copyright 2016 David Blake, All Rights Reserved. Apple, the Apple logo, iPhone, and iPod touch are trademarks of Apple Inc., registered in the U.S. and other countries. App Store is a service mark of Apple Inc. iTunes is for legal or rightholder-authorized copying only. Don’t steal music.